Nautilus exercise bikes are some of the most popular cardio machines on the market today, as the company gives you a lot of functionality at a very affordable price. With tons of built in workouts, plenty of resistance levels, a smooth, quiet ride and lots of extras, these uprights and recumbents are a great choice for your home gym. Founded in 1986 with the name Bowflex of America, Nautilus was built from the ground up by Arthur Jones, a pioneer of strength training equipment. You may already be familiar with their circuit equipment as they were the first company to introduce selectorized weight machines. They also carry a complete line of health and fitness products and accessories, as well as cardio machines such as exercise bikes, treadmills, and ellipticals. Nautilus manufactures and markets products for both home and commercial use through direct, retail, specialty, and international channels. They have won numerous awards and accolades for their designs and innovations, and Nautilus is the official fitness equipment supplier to pro sports teams such as the Dallas Mavericks and the Phoenix Suns. Headquartered in Vancouver, Washington, Nautilus, Inc. is a “pure fitness” company with a brand portfolio that includes four leading names: Nautilus, Bowflex, Stairmaster, and Universal. In 2001, the parent company partnered with Pacific Cycle Inc to share control and distribution rights of the Schwinn® Fitness division. The line of Nautilus exercise bikes includes three uprights and three recumbents. As value-driven machines, they are popular because of their affordable price, solid frames, exceptional features, and reliable performance. They use magnetic resistance technology to provide smooth, quiet, and consistent workouts. The Nautilus U614 is the entry-level upright stationary bike that offers 22 workout programs, 20 resistance levels, dual LCD displays and eddy current brakes. Extras include grip heart rate, a 3 speed cooling fan, sound system, tablet holder, transport wheels and a USB port. 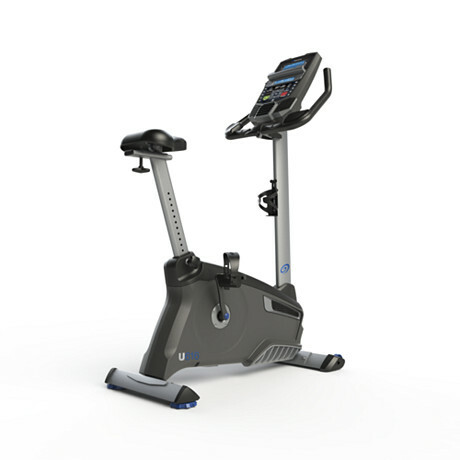 The Nautilus U616 is the mid-level upright that offers 29 workout programs, 25 resistance levels, dual LCD displays and eddy current brakes. It also features Bluetooth technology to sync your data with multiple fitness apps and wireless heart rate capability, among other upgrades to the the U614 model. The Nautilus U618 is the top of the line model, with premium components and upgraded seat, handlebars and pedals. It features a free wireless chest strap, a higher max weight capacity and a stronger warranty overall. The Nautilus R614 is the recumbent version of the U614, with identical features and capabilities. Same is true of the R616 model, which is identical to the U616 in terms of what's offered. Lastly, you have the new R618 which is identical to the U618. They provide health clubs and other commercial facilities with world-class products, and also serve home users with dependable, affordable workout equipment. 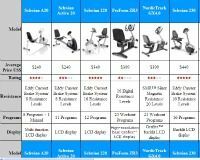 Which Nautilus Exercise Bike Should You Choose? It really comes down to what you are looking for. As we mentioned, they are all very affordable bikes, with only about $400 separating the base U614 and the top of the line U618, as well as their recumbent counterparts. So if you can afford it, we would definitely look at the U616 and U618 (R616 and R618) simply because they have workout tracking and wireless heart rate monitoring, two key features that are found on many popular bikes these days. You also get more workouts, more resistance levels, and they are built for heavier usage. However, if it comes down to strictly budget, or you just need a very basic machine for light usage, then by all means go for the Nautilus U614 upright or the R614 recumbent. They have enough features to give you a great workout. 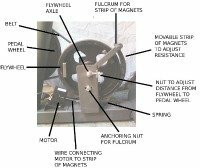 Also, regardless of which Nautilus exercise bike you choose, upright or recumbent, see if you can get an extended warranty because the coverage on all of the company's home cardio equipment isn't as strong as it could be. Nautilus U614 Upright - The entry level model with plenty of workouts, resistance levels and heart rate monitoring. It does not have workout tracking like the other two models have. Nautilus U616 Upright - The mid-level exercise bike with Bluetooth tracking, plenty of built-in workouts and customization. It has more programming and resistance levels than the base U614 model. Nautilus U618 Upright - The newest bike in the lineup, part of the Performance series with advanced features and capabilities plus workout tracking through Nautilus Connect. It includes a free wireless chest strap and can accommodate the heaviest usage of all. Nautilus R614 Recumbent - With all of the same features as the U614 upright, this affordable recumbent exercise bike has 22 built in workouts and 20 resistance levels, as well as a number of added comfort features. 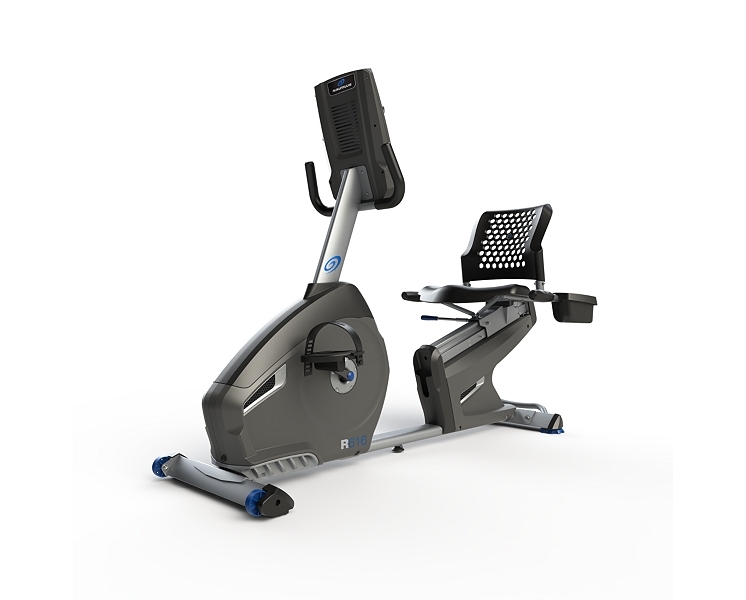 Nautilus R616 Recumbent - Identical to the U616 except this is a seated exercise bike. Plenty of workouts, resistance levels and Bluetooth tracking make this one a winner. Nautilus R618 Recumbent - Same as the U618 upright in a seated version. You get a free wireless chest strap as well as enhanced features and a higher max weight capacity than the others.